European shares rose more than 1 percent on Monday as investors bet against an immediate snap election in Italy following Prime Minister Matteo Renzi’s resignation. Markets were a little edgy at the opening – the Milan stock exchange fell as much as 2 percent – but most investors don’t expect the country will leave the euro zone. “Italy is systemically important, the Eurozone cannot survive without Italy, there’s no speculation about that,” said Robert Halver, head of market research at Baader Bank. 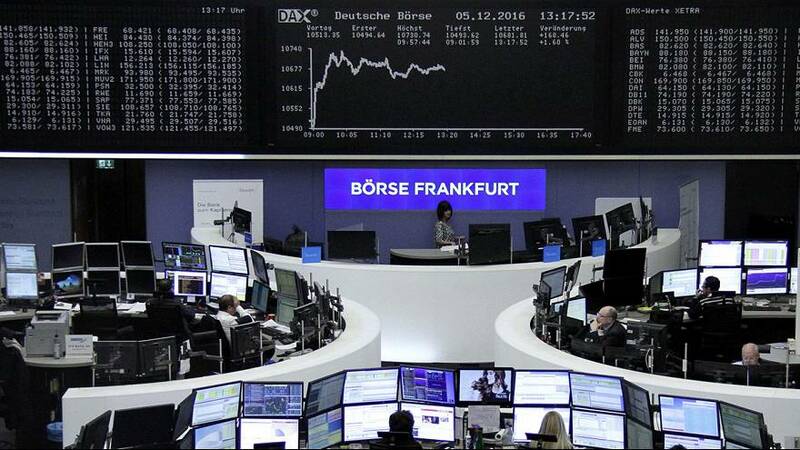 Germany’s DAX and Europe’s FTSEuroFirst index of top 300 shares both rose 1.5 percent. Wall Street was expected to open up 0.5 percent. “Our base scenario is a caretaker (Italian) government which could be in place before Christmas, and no new elections before 2018,” Indosuez Wealth Management chief economist Marie Owens Thomsen said. Markets have been jolted by the scale of Renzi’s defeat, fearing further political turmoil in the euro zone’s third-largest economy. All eyes are now on Italy’s heavy debt and fragile lenders. Banking shares fell more than 4 percent in morning trading, but later reverted their losses.